Thanks to improvements in shipping and quarrying technologies, marble is no longer out of reach for many families. 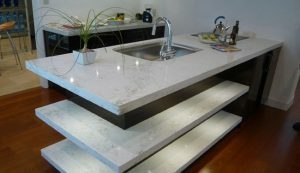 If you’ve been shopping recently and boggled at the prices for a fitted marble worktop, give us a call. 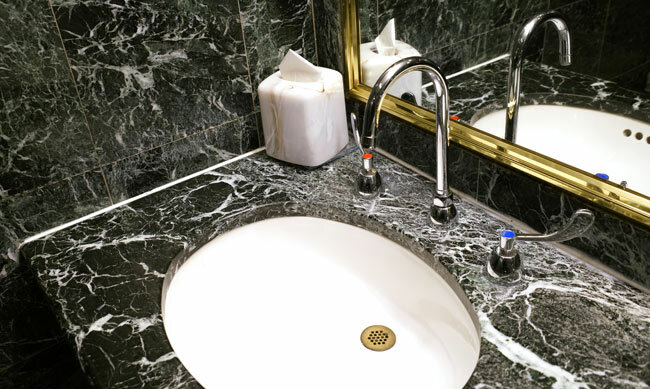 As expert stone workers, at Surrey Marble and Granite we are committed to finding great deals for all our customers – and we can give a complete and accurate quote including fitting. You may be surprised at what’s in your budget when you shop with us. Marble can be sealed rendering it almost entirely stain-proof and it’s part of our standard service. 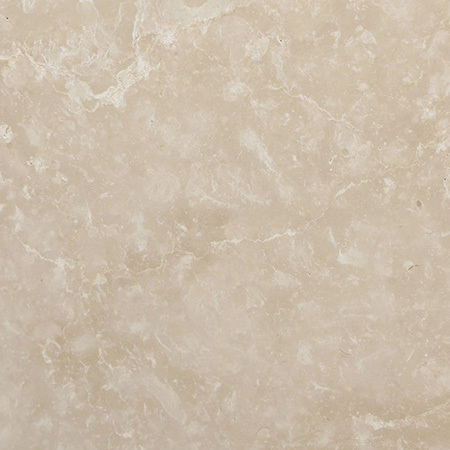 That said, there are a number of gorgeous quartz worktop shades that mimic the natural beauty of classic white marble. 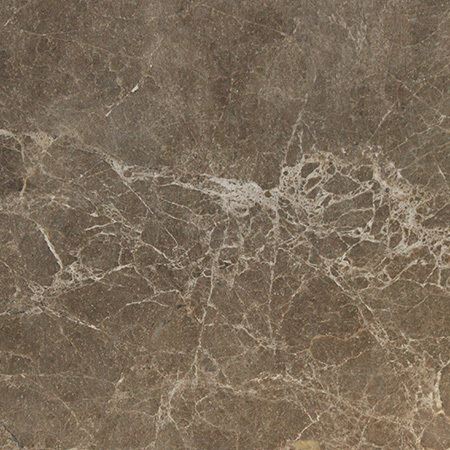 Dekton Aura has a beautiful veined effect as does Okite Carrera and Compac Perlino. Between them, the companies offer a range of pure white shades that let you choose from snow white, milk, cream and other subtly different hues. 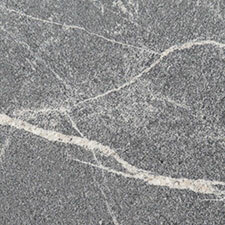 Not many people are aware that marble is available in a range of shades straight from the quarry. 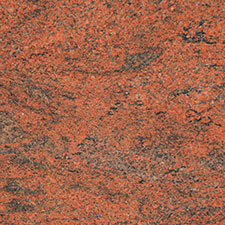 The presence of various minerals means that marble from different areas has different shades. Most are subtle and may be intensely veined, slightly veined or plain. 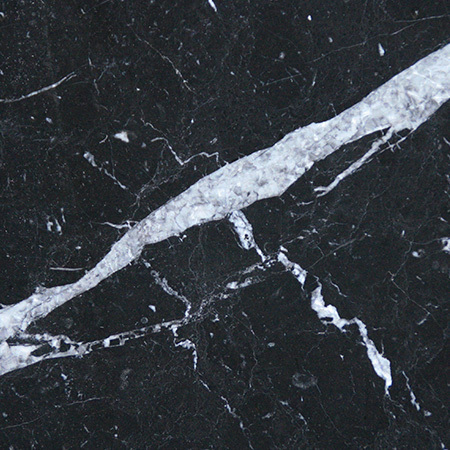 If you love the drama of black marble consider substituting a striking quartz such as Quarella or Compac Technological Quartz with their near-natural shades. 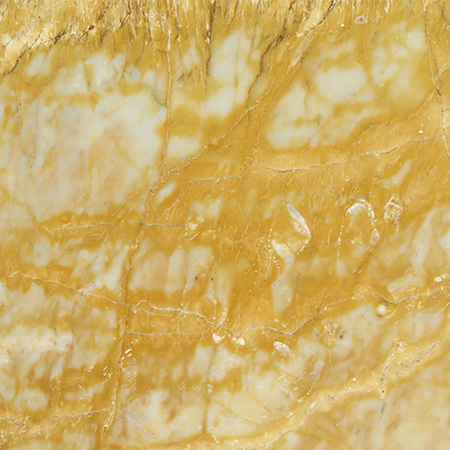 The dramatic veining of some marbles doesn’t suit every taste. 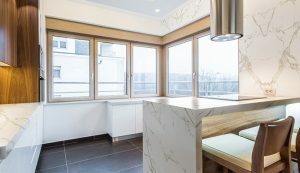 Consider a textured or plain quartz worktop from specialists such as Quartzforms to get the stone worktop look without the distinctive marble veining. With over 50 colours to choose from, you can match any palette from classic white marble to starry black granite. Marble worktops are made from naturally occurring stone, which means that each slab will be at least slightly different. 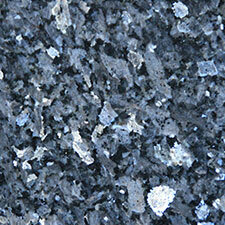 Quartz worktops are manufactured under controlled conditions, which means that patterns can be identical. If you want a perfect match across multiple surfaces, choose a speckled or plain quartz such as Samsung Radianz Quartz or Quarella. 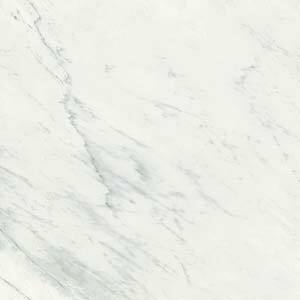 Marble is a natural stone so your choices are limited to those available in nature. If you’re looking for a different shade or a brighter hue then engineered quartz worktops are a great choice. Using the natural colours of quartz and synthetic dyes, manufacturers are able to create stone in a host of striking shades. 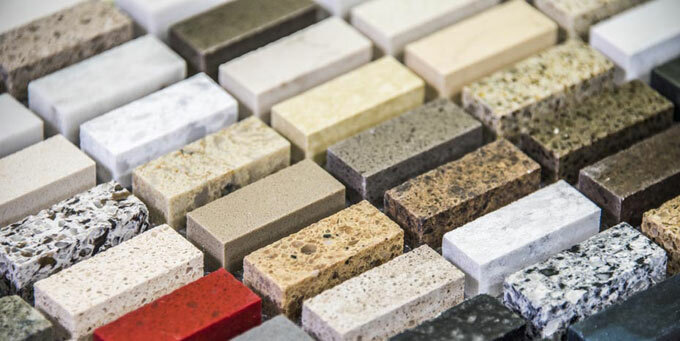 As an example, Silestone is available in almost every hue and shade, from tomato to banana, cream to coffee. 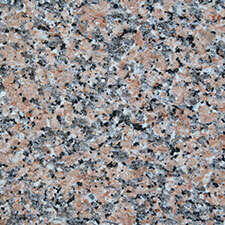 However, it tends to be speckled rather than have the typical marble veining. 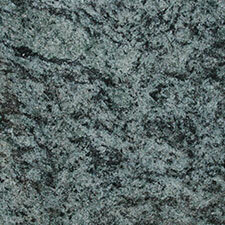 At Surrey Marble and Granite we have a wide variety marble and quartz stones available.